I am aware that this isn't scary at all. In fact, this Witch Portrait doll by Ashton-Drake is gorgeous! Isn't it amazing how intricate the lace work is? The Witch Portrait doll is a wonderful mascot for Halloween. I definitely like how the spiderweb fabric goes from her dress all the way up to the bow around her broomstick. 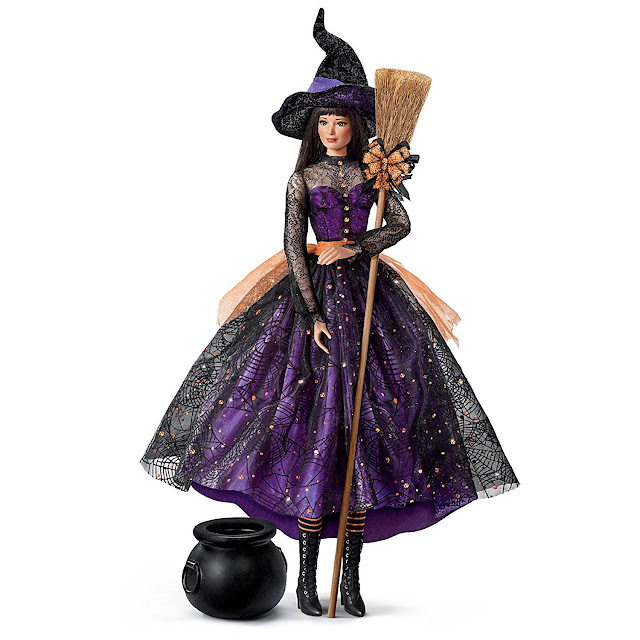 Start your Halloween doll collection with the Serena witch portrait doll by Ashton Drake. She's stunning and festive. What do you think? Tell me about it down below!